2000 AD alumni Arthur Wyatt, with art by Henry Flint, Paul Davidson and Ben Willsher. 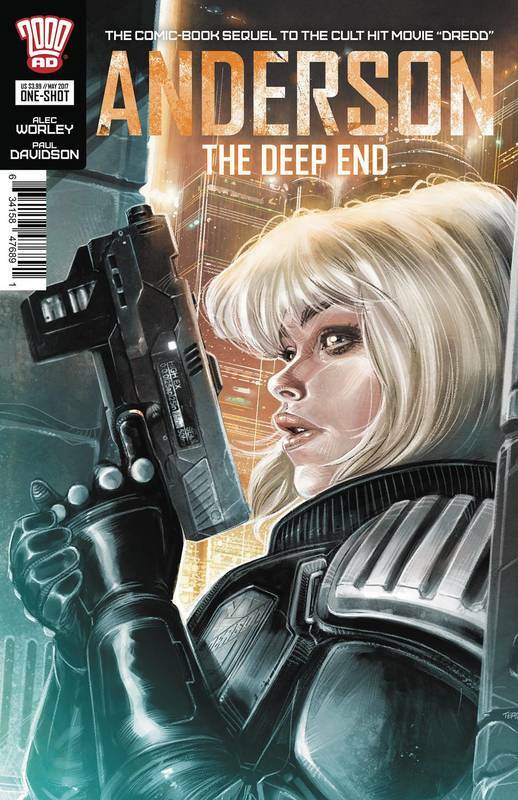 Eager to take a crack at writing Dredd’s psychic partner Judge Anderson (played by Olivia Thirlby in the movie), I pitched editor Matt Smith the idea of spinning off the movie-version of Anderson into her own series. I wanted to see how the character would fare on the streets now that she had earned her stripes as a Judge. I’d previously adapted the comic-strip version of Anderson for a series of novellas, and my intention with the movie-version of the character was pretty much the same: to explore and build Anderson as a character, let her stand on her own rather than as a sidekick, and move her up from the ‘rookie’ status with which she is often associated. I not only re-read the Arthur Wyatt comics, which captured the distinctively brutal tone of the movie, but I also read every interview with Olivia Thirlby that I could find, to get a better understanding of how she read the role. I also gathered interviews with writer Alex Garland, production designer Mark Digby and cinematographer Anthony Dod Mantle, who each described the rationale behind their lo-fi version of Mega-City One. In both cases, I wanted to properly identify that grungy tone which distinguishes the movie-Dredd from the wilder version that exists in the comic books. 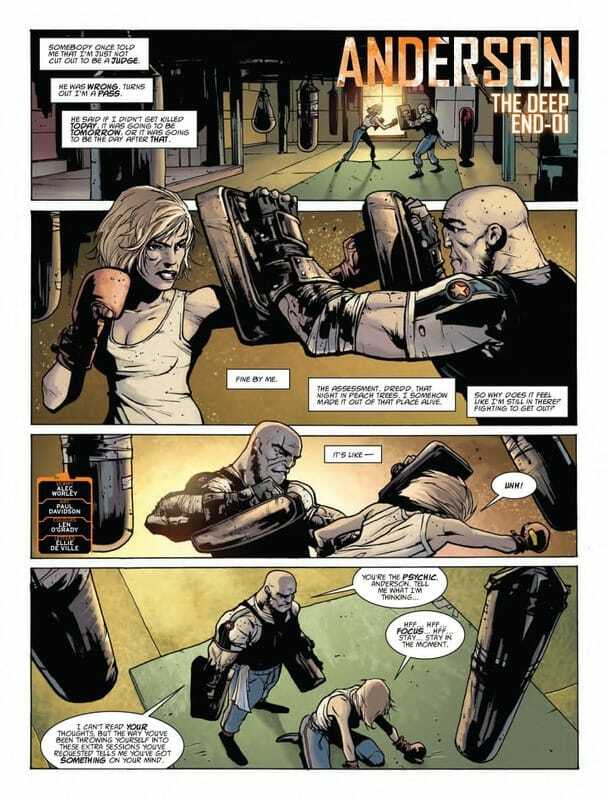 The series is currently due for collection in early 2017 as a U.S.-format one-shot, followed by a collection alongside Arthur Wyatt’s Dredd adventure Dust. Two episodes, with art by Paul Davidson, colours by Len O'Grady and letters by Ellie De Ville, in Judge Dredd Megazine #377-8, Oct-Nov 2016. 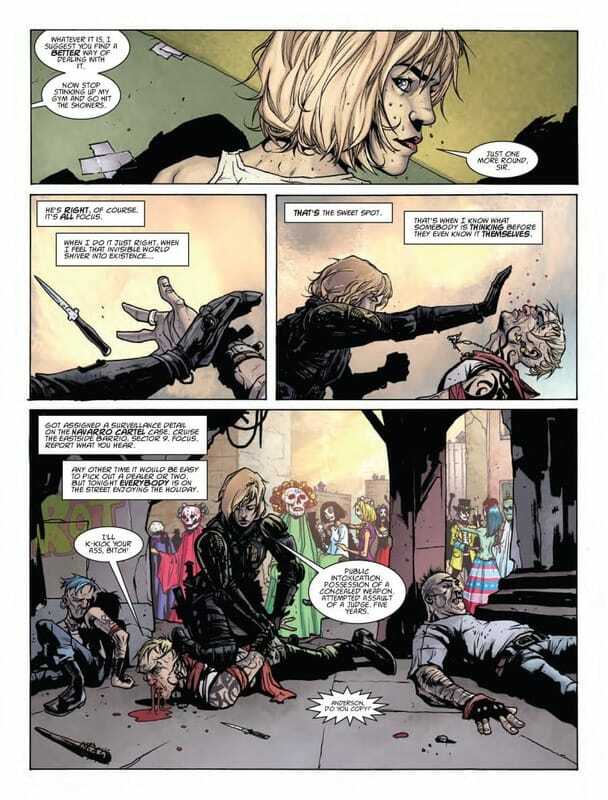 ​While the ghettos of Mega-City One celebrate dia de muertos, Judge Anderson is called to investigate an apparent case of possession. 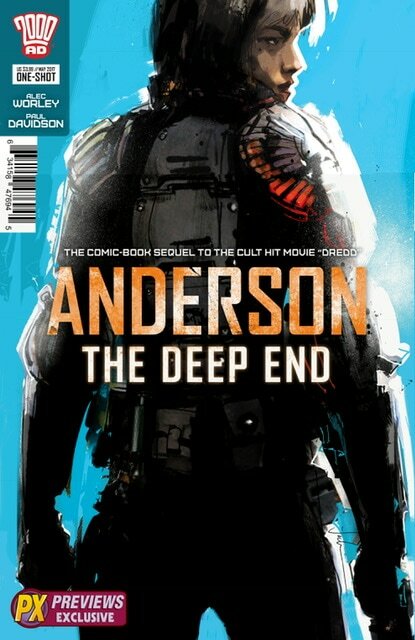 Ten-page one-shot, with art by Paul Davidson, colours by Len O'Grady and letters by Ellie De Ville, in Judge Dredd Megazine #379, December 2016. It's Cassandra Anderson's end-of-year assessment, but does the Chief Judge still believe the young psychic has what it takes to enforce the law? "A masterful writer... compelling, believable... excellent."